Who isn't thinking about student loans these days? Whether you're a recent college grad hurtling toward the end of your grace period or a rising high school senior wondering how you're gonna pay for that $50k-per-year dream school, student loans have become an (unfortunate) reality in paying for college. But that doesn't mean you need to sink yourself into a black hole of debt. “Students should have a plan for financial success from the very first day they enroll in college,” says Erin Wolfe, Director of Student Financial Services at Susquehanna University in Selinsgrove, Pennsylvania. Because if you don't, your finances can easily go awry, leading up to such snafus as student loan default—and you really don't want that. Make a plan before you graduate. “Make an appointment to visit the financial aid office to discuss options and understand the overall loan obligations. 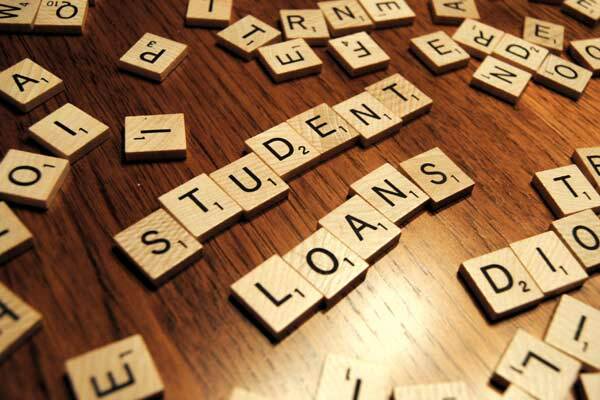 If a borrower has private student loans, review disclosures to understand the terms and interest rates of the student loans." Use your grace period wisely. “Grace period is for planning,” she says. “During the six-month grace period before repayment is required to begin, it is important for a borrower to create a budget and savings plan. If the borrower can make payments on loans prior to the end of the grace period, even better! This enables her/him to work on building a successful repayment strategy from the start." And last but not least, the CollegeXpress Scholarship Search, so if you're still in college, you can replace those student loans with scholarships.